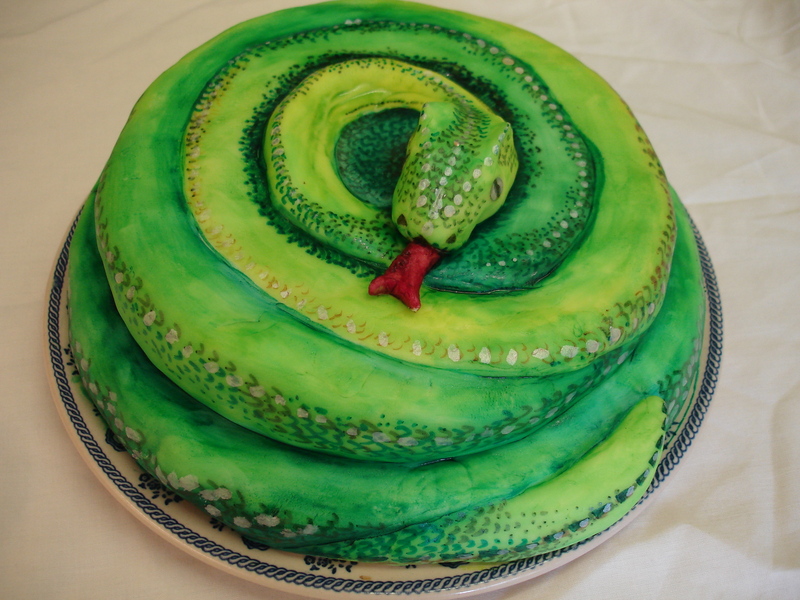 A cake for a double digit. My son had this idea for his 10th birthday, yesterday. He was very clear about it. 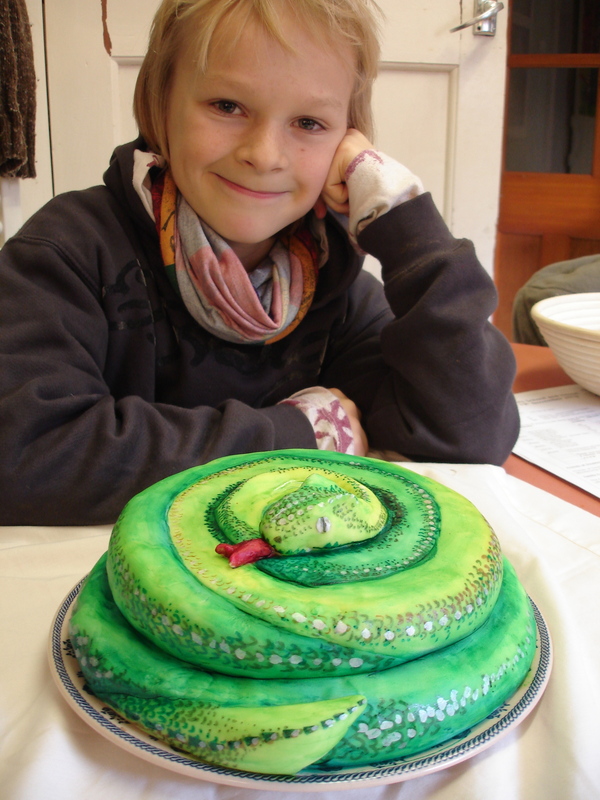 He wanted a coiled snake and suggested this could be achieved by baking cakes in different sized tins. The smaller cake could sit on the larger one, and a smaller one again on that, except that I pointed out I was limited to two sizes of cake tins only in my cupboard. He’s a creative thinker, a lover of reptiles and amphibians and very encouraging and complimentary of my efforts which helps a lot as I was nervous of making a complete hash of it.